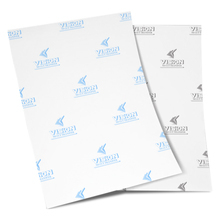 Sublimation is a great professional way to personalize shirts, coasters, puzzles, mousepads and more. 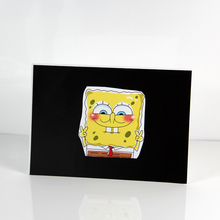 It is similar to heat transfer, however it is a process where the image becomes an actual part of the item. 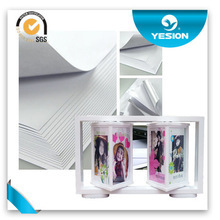 Sublimation uses special paper, ink and polyester-coated items that all react with each other. 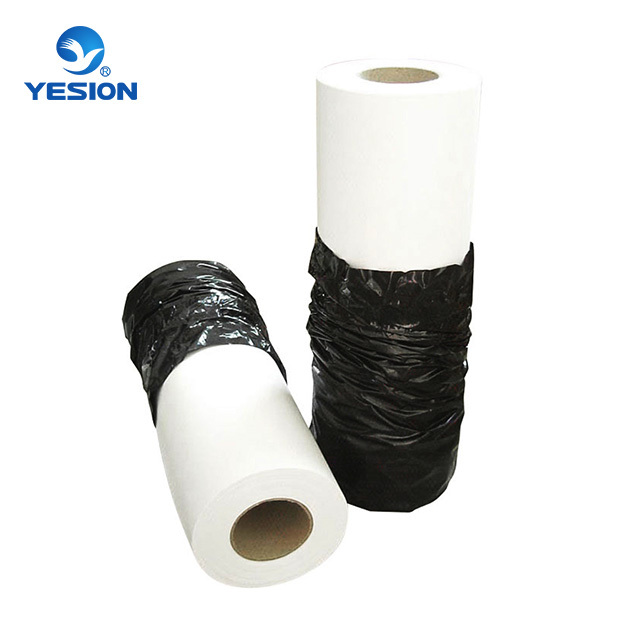 When heated to high temperatures, sublimation ink turns into a gas and the pores of the polyester coated item open up allowing the gas to enter. Then, once removed from the heat the pores of the polyester item close up trapping the ink inside of the item. 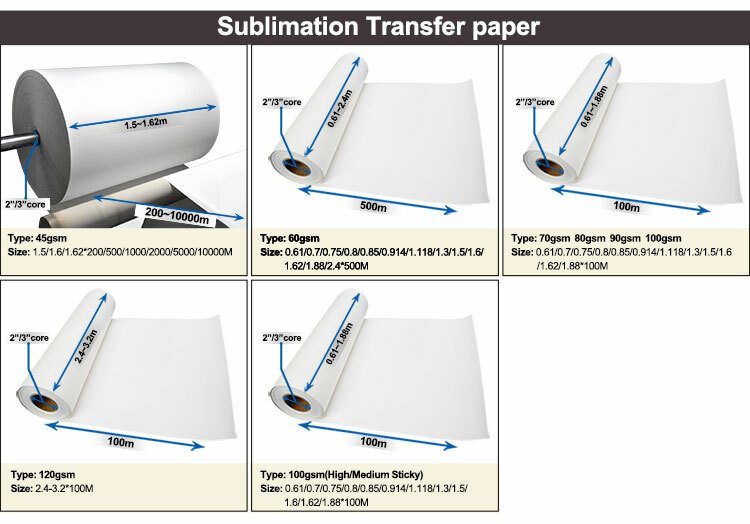 Sublimation items are smooth to the touch. You won't be able to feel any image outline if you run your fingers across the sublimated item. The color is so much more vibrant than the inkjet heat transfer paper. 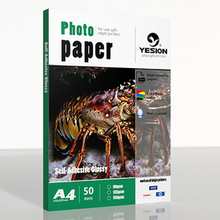 Single side coated paper especially designed for use with sublimation inks. 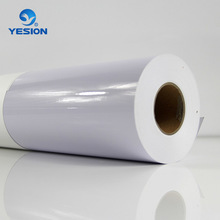 Print onto the brighter white side of the paper to sublimate onto a large variety of polyester coated imprintable blanks, including polyester shirts, mugs, water bottles, mouse pads, ceramic tiles, and many more! 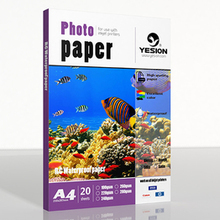 Compatible with both Ricoh or Epson Sublimation printers! 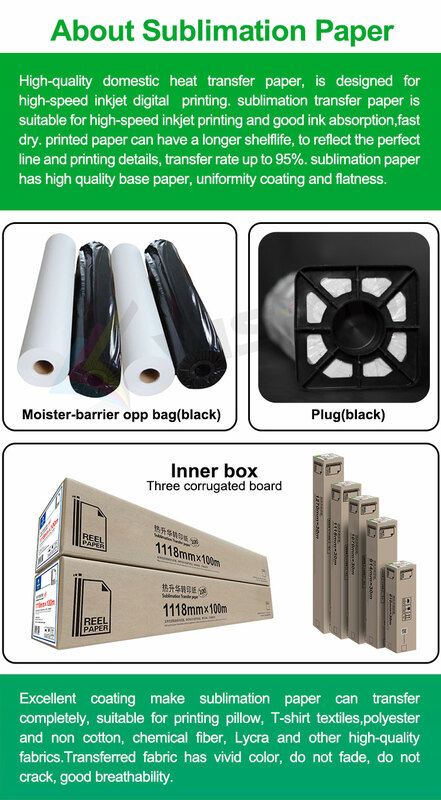 *Please note that transfer paper DOES have a shelf life; it lasts about 1 year depending upon storage. It must be kept sealed in its plastic bag. 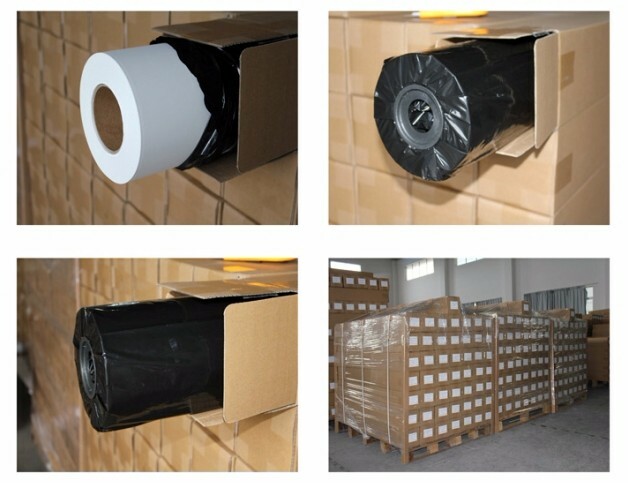 High humidity or dry conditions can shorten its shelf life.